Garmin’s Index connected scale is a no brainer if you own other Garmin gear. 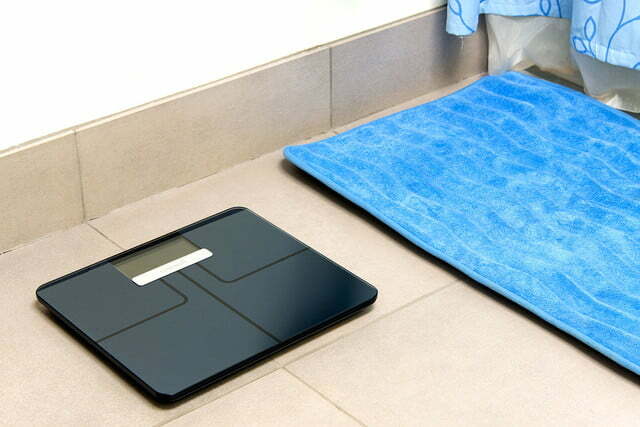 The humble bathroom scale has never been a glamorous fitness device. It’s not jewelry to slip on the wrist. It doesn’t broadcast your dedication to glowing health and athletic dominance. And while some scales get a touch of Italian modern metal and glass, the average bathroom scale sits humbly in the corner collecting Jackson Pollock splatterings of dried water droplets, soap scum, and random pieces of hair. 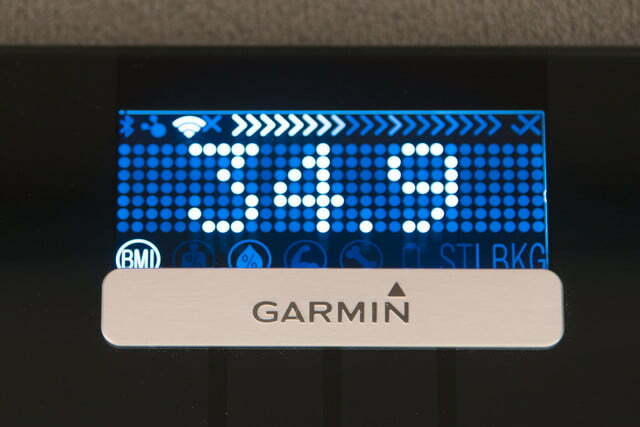 Garmin, the GPS giant, has flipped this script with its new Wi-Fi connected Index Scale. The Index measures much more than weight, and with the data it automatically uploads to the Web, it can be one of the most important pieces of technology in anyone’s health and fitness program. Few activities are more foreboding to people tracking their weight than stepping on a scale each morning, but the Garmin Index Scale makes this daily chore like stepping into a Tron film. 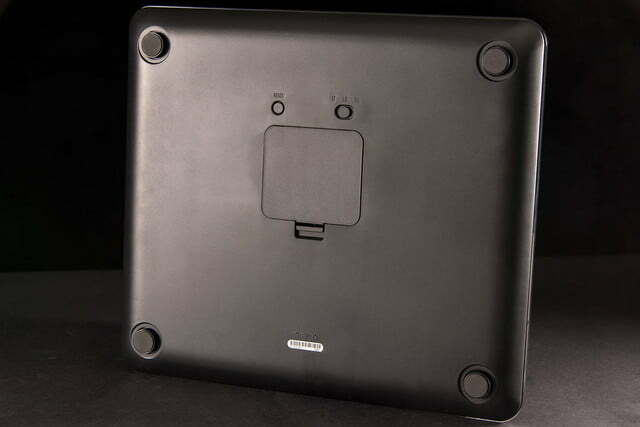 The sleek, glass top is cool on the toes and features lines making it look more like a transporter pod or a circuit board than a bathroom scale. The Index measures weight as well as body mass index (BMI), muscle weight, bone weight, plus body fat and water weight as a percentage of total weight. At a little more than a foot square and an inch deep, it’s no bigger than an ordinary scale, and weighs 6.2 pounds. A blue LCD screen that displays all the metrics sits top and center. The backside of the Index features four feet to keep the scale off the floor, a kilogram or pound switch, a reset button, and a battery door hiding four AA batteries, which will run the scale for a reported nine months. The key feature of the Index scale, however, is its built-in wireless connectivity. 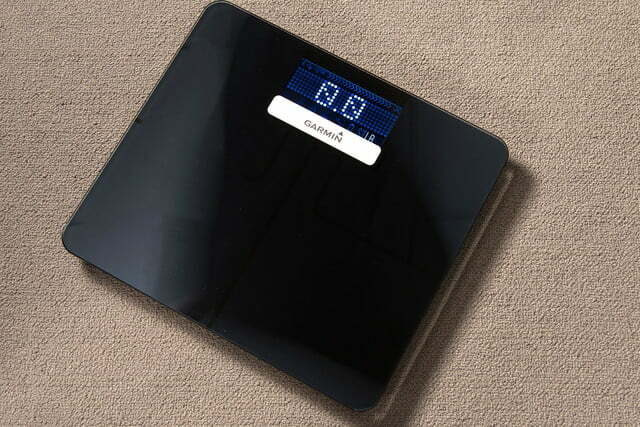 The scale features Bluetooth, Wi-Fi, and Garmin’s own ANT, allowing it to automatically upload metrics to a user’s Garmin Connect account. The scale learns who is standing on the scale at any given time, and can be used by up to 16 different people. 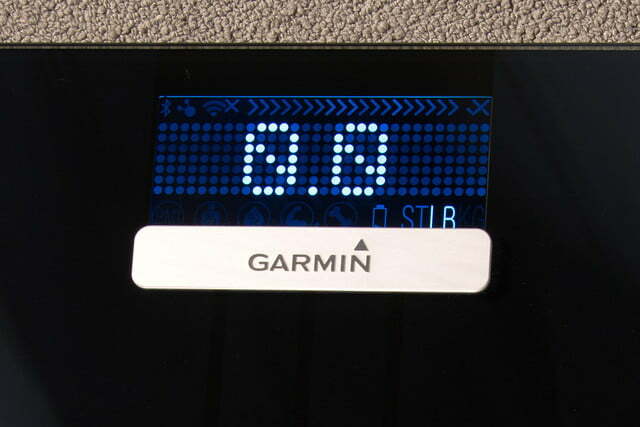 While anyone can check their metrics on the scale, users must have an account on Garmin Connect to be recognized by name (yes, this includes the kids) and have their data logged. The Index we tested arrived with the scale, and a set of four snap-on extended feet (for using the scale on a carpeted floor), four AA batteries, and a manual. Setting up the Index scale is no different than pairing a fitness band to a smartphone. After downloading and installing Garmin’s Connect app for your smartphone, you’ll need to set up a profile. Just answer a few personal profile questions like height, weight, and age, and all that’s left is connecting the Index to your local Wi-Fi network. Had we known whether our Wi-Fi was using WEP, WPA, or WPA2 security, this step would have been much easier, but instead we had to guess and check until it worked. Already using a Garmin fitness device? Don’t need to worry about setting up a profile. Just add the Index to your list of connected devices in the mobile or desktop app. You’ll need a USB ANT stick with the latter. Having a scale that automatically logs weight means never having to remember the numbers. Aside from tripping over it occasionally during the night, and seeing the room light up thanks to the blue LCD, we’d step on the scale each morning and then view our progress on the weight chart on the Garmin Connect app. After a couple weeks, weight trends were easy to pick out. A big weekend of eating the wrong food, or not burning off enough calories showed up immediately. The scale does not lie, and more importantly, it does not forget. Speaking of lying, the Index scale also keeps you honest. There’s no cheating a weight measurement when all you have to do is stand on the scale. The days of not recording a weight are no more. In fact, knowing that the weight was going to be automatically uploaded to Garmin Connect sometimes kept us off the scale for a day or two, when we knew we were going to turn in some big numbers. We found ourselves getting on the scale much less often during bad weeks because we knew that our stats would be updated and one bloated reading could crush our averages. Then we tried something else. Rather than viewing the display as we stood on the scale, we’d step on the scale and stare at the wall. It sounds silly, but sometimes it’s better not look at your weight every day. 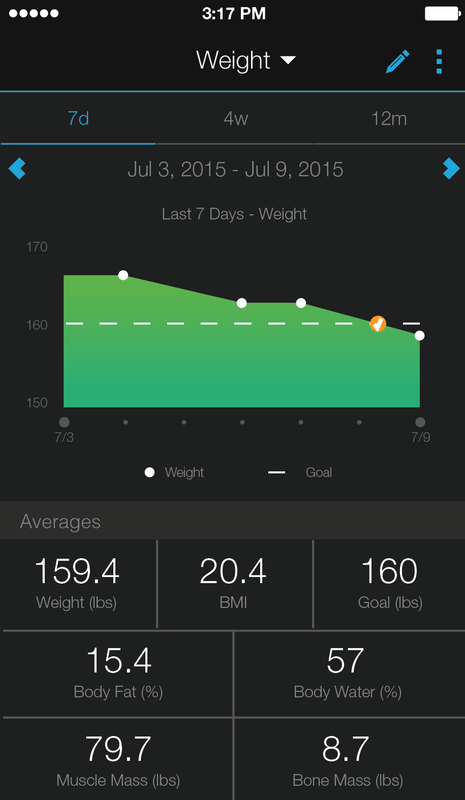 We’d weigh every day, but only view our weight stats once a week. This made it easier to avoid being disappointed by day-to-day weight fluctuations and stay more focused on our weekly goals. Aside from the games we played to trick ourselves into getting on the scale every day, the scale worked nearly flawlessly. A few times, a strange weigh-in on our timeline turned out to be someone else’s metrics incorrectly logged as us. Usually, this was obviously a child, or a half trip over the scale. Fixing it requires nothing more than going into the Garmin Connect timeline and deleting the weight. Dedicated Fitbit, Withings, or Polar fitness tracking users, however, should check out the smart scales from their favorite brand, because the coolest feature of the connected scale is seeing the data show up automatically in the rest of your fitness timeline. If you haven’t already dipped a toe into the fitness-tech pool, the Garmin Index (which retails for $150) is as good a reason as any to get started. It is a quality, well-designed bit of fitness technology that will be a great addition to anyone’s home.